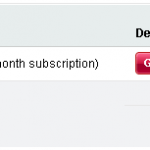 Free antivirus program which is used by user is AVIRA and AVG. If you need alternative free antivirus application, you can use Zillya antivirus. 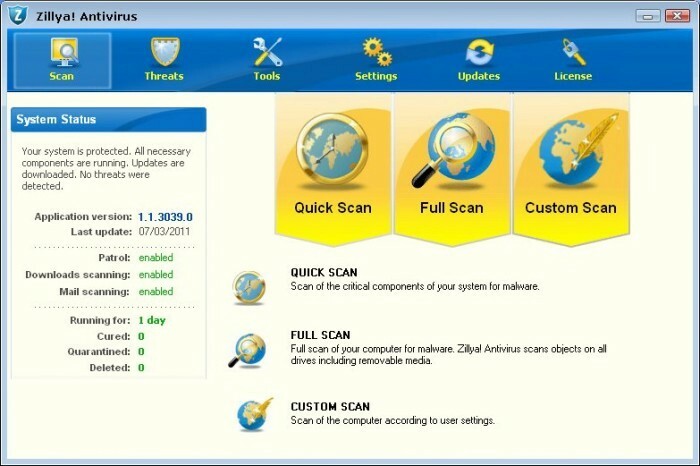 Zillya antivirus is new anti-virus application. But this is one of antivirus free antivirus program that popular in Ukraine. Zillya antivirus has simple interface that is easily understood by the user. This program is also very light because it does not require much resources in computer. If you do not like to do online updates, zillya also provides a virus database update file for offline update. It working-fast because it uses a very low computer resource. Has an simple interface that is easy to use and easily understood by the user. All the features that you need can be found easily. Built-in tool for contacting emergency anti-malware services in Zillya. With this feature you will find solution quickly for unknow malware. Zillya can recognize and detect more than 2 millions of unique malware footprints. This application also can be used on small computers specification. It can be used in a CPU speed 800 MHz, with 256 Mb of RAM and it requires free hard disk space 80 Mb only. 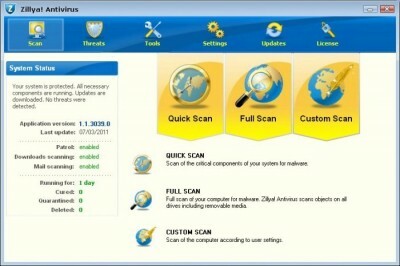 Zillya free antivirus can be downloaded at its official website, download this free antivirus. Related to "Download Zillya Antivirus, Free Antivirus from Ukraine"